Whether you're familiar or not with the New York ball culture scene through Jennie Livingston's documentary Paris is Burning or Madonna ripping it off with her Blond Ambition tour, this gorgeous, soapy drama is a fabulously entertaining affair. It lathers you in its politically provocative, emotionally engaging and goosebump inducing dance sequences with enormous style and makes you care about its outsider characters. Created by Ryan Murphy and Brad Falchuk of American Horror Story, Scream Queens and Glee fame and Steven Canals, it provides a landmark moment in television history with the largest recurring cast of LGBTQ+ actors ever for a scripted series. Janet Mock and Our Lady J are also part of the creative team behind the project with the group's talent and vision scorching the screen not only with bold fashion statements but an endearing tenderness, especially when it comes to the subject of family. MJ Rodriguez is simply irresistible in her leading role as a transgender house mother who is determined to leave her mark, and her rivalry with Elektra (a fantastic Dominque Jackson) makes for deliciously juicy viewing as they act out against one another. They're joined by a talented ensemble cast including Ryan Jamaal Swain whose moves are breathtakingly impressive, Indya Moore who imbues her character's narrative with touching pathos, Billy Porter who displays a gifted way with words and James Van Der Beek who is outrageously vile in his role as a powerful executive. Set in 1987, the show luxuriates in the scene while also paying a visit to vulgar displays of wealth through a young white man played by Evan Peters rising in the ranks as part of Donald Trump's empire. Strong attention to detail and an intoxicating sense of time and place whisks you back to the era while also breaking down the American Dream by investigating who gets to live it and what exactly that means to its different players. It's a revolutionary and glamorous show for our troubled times, that tackles themes of race, identity and politics with a deep-felt emotional intelligence. It's highly recommended to all. Episodes watched: one–three of eight. 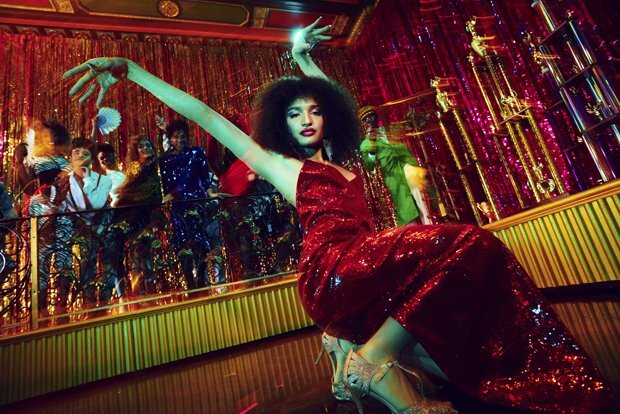 Pose starts on BBC Two, Thu 21 Mar, 9pm.